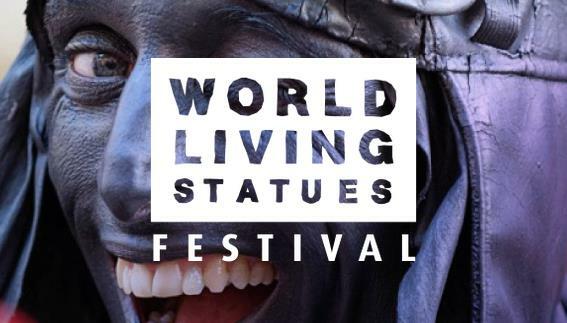 Registration for World Living Statues festival 2019 is open! The World Championship is on October 6th in Arnhem. Statues by Night is on October 4th in Ede. Send your registration form back to us as soon as possible! We close at May 1st. Please read the information, fill in the registration form and send this to us with visual material of your work (pictures, youtube, etc.). We prefer moving images, like YouTube or videoclips, to get a good impression of your act. We prefer to receive your information digitally. The more information you send to us, the better and sooner we can make a selection! You can register till May 1st. Make sure we have your material on time. For more information I would like to refer you to the attachments. Look out! There is a place in Arnhem for about 40-50 international statues so be in time with your registration. If you are selected for October 6th, you can also perform in Ede at Statues by Night. Please put in the form if you want to perform in Ede also and with which statue. If you know an interesting national or regional festival with living statues, please let us know. Maybe we can take a look. And if you have contact details of the organization, we would like to know that too. Any cooperation may ensue. If you have a question, please do not hesitate to contact us: 0031 26 36 35 084 or by email: pascale@worldlivingstatues.nl. PS Feel free to forward this message to any other living statue you know.